What is Lockout/Tagout and What Does it Mean for My Business? NTT Inc. - What is Lockout/Tagout and What Does it Mean for My Business? No matter the kind of business you run, there needs to be safety procedures in place designed to safeguard you, your employees and customers from any possible harm. When dealing with utilities, powerful machinery and other equipment, these issues that may be minor in other facilities can prove especially dangerous, which is why a lockout/tagout is put into place. Understanding what a lockout/tagout is, how it affects your business and what you can do about it is important for not just the company but the overall wellbeing of everyone inside. 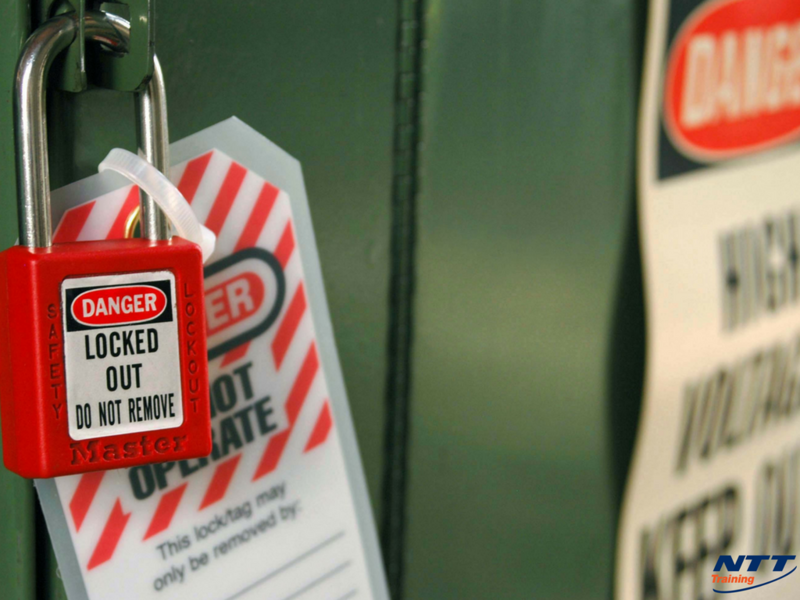 What Happens During a Lockout/Tagout? In the event of any kind of machinery startup where an unexpected amount of energy is localized, it is important to remove everyone from the premises until the situation can be controlled or contained. With the sudden release of dangerous energy, it increases the chance of injury from an arch flash or other conditions that may prove deadly. The lockout/tagout is a practice implemented by the United States Department of Labor (OSHA 2120, Revised in 2002). In the event of this kind of electrical discharge, anyone present may be fatally injured, which is why it is necessary to remove everyone from the facility. In the event of a lockout/tagout, workers are removed from the area. Depending on how the machinery works and electrical points of connection, the entire factory may need to be shut down in order to stop the movement of electricity within the machinery or localized area. You also likely have employees who are trained to work in this kind of a condition in order to correct the situation. If you have these employees who are properly trained, it may be possible to avoid an entire system shutdown and restart, but it may simply depend on a situation to situation basis. Those without the training must remain removed from the lockout location until the situation has been resolved and the change of injury removed. How Does it Impact Business? A lockout/tagout can greatly affect your business. For starters, with every situation your production may freeze completely. This can put you behind schedule or bring up other manufacturing problems. If customers depend on material and services in real time, this leaves your customers without your rendered services and it may lead to them looking for other service providers who are less likely to experience a lockout/tagout. It also puts your employees at a greater risk of injury. Should such a situation become more common you may see employees leaving due to safety concerns. All of this comes back and affects your bottom line. It is necessary for you to do what you can in order to prevent such a situation as while it is a major safety concern, it is also a major business concern. Why Would a Business Owner Be Better Off Getting Proper Safety Training for Workers to Ensure This Doesn’t Happen Frequently? Training your employees on proper safety techniques has several different benefits. For starters, the chance of a lockout/tagout occurring drops simply because they know how to work the machinery better and will become less prone to mistakes when trying to carry out their work duties. This means you’ll have fewer stoppages during production. Now, sometimes it is impossible to avoid these kinds of situations. Should a lockout/tagout occur your trained employees will know how to handle the situation. This reduces the chance of injury. It may also reduce your disability insurance premiums simply by indicating you have your employees trained. You can also have some of your employees trained on correcting the lockout/tagout situation. This way, even if you are in the middle of a problem, they are able to go in and correct it faster. The shorter your lockout/tagout lasts the faster everyone can get back to work and the less production you fall behind. By ensuring your employees receive proper training, you protect your employees and keep them both knowledgeable and safe. You also go a long way in preventing business problems and disruptions, which may end up coming back and affect your company’s bottom line. As a business owner, you need to do what you can to keep everyone safe. Accidents do happen and issues may arise throughout the course of running the business, so understanding what a lockout/tagout is and knowing what to do is vital. With proper training, you and your employees will not only know what to do in the event of a lockout/tagout but also how to prevent such a situation in the first place. If you’re ready to improve the safety of your employees while reducing the potential downtime from such a situation, now is the time to contact NTT Training and look into the different training services and seminars the accredited training provider offers.